The list below are the very best tools that I've used to help launch, grow and sustain my business. Hands down, my favorite email marketing software. Extremely simple and easy to use. Click here to check out ConvertKit and get a FREE trial. I absolutely love Asana and Megan Minn's Asana HQ course made me love it even more. I always tell people that it is the best $97 investment you can make in your business when it comes to getting organized. It was an absolute game changer for me and how I organize my business. She truly shows you how to make Asana your HQ. 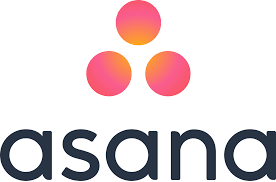 Click here to learn more about Asana HQ. I had purchased a handful of courses around email marketing, how to create online products and by far, hands down this was the best online course that I invested in that showed me the strategy behind product creation, opt-ins, sales pages and affiliate marketing. The co-founders, Alex and Lauren are absolutely real in the way they deliver their content and truly take you behind the scenes and give you the tools to be successful. While it says "Blogger" in the title and I don't consider myself a blogger, I originally purchased it because it came highly recommended from a friend and it did not disappoint. This is a great resource/course for anyone looking to break into the online space. Podia is where I house all my courses, downloads and memberships. It is super easy to navigate as the creator and their customer service is absolutely top-notch. I love the people behind the company. If you're looking for a software to host your products, this is it. Click here for a 14 Day FREE trial. The Contract Shop, created by, Christina Scalera is your go-to place for all things legal. On her site you can find templates for website terms and conditions, GDPR compliance, contracts, LLC Operating agreements and more! Search all of her templates, here. I use Calendly daily to help schedule calls and podcast interviews. I absolutely love their interface and how easy it is to navigate and connect with my calendar. If you’re not ready to upgrade, they also have a free version you can check out. Canva is my favorite software tool to help create and design graphics for my courses, podcast episodes and downloads. Planoly is my go-to for scheduling out Instagram posts ahead of time. I can see what my feed is going to look like and it is great for keeping tracks of my analytics. Click here to check out Planoly. I am part of affiliate programs. That means you may click a link or make a purchase through that link from my website and I can earn a commission for that sale. I cannot be held liable for any external links or purchases you make. Per FTC guidelines, this website may be compensated by companies mentioned through advertising, affiliate programs, or otherwise. Any references to third party products, rates, or websites are subject to change without notice. Please do the appropriate research before participating in any third party offers.